We are happy to post an interview with amazing Alexia Evans - one of the first girls on bars! She is a member of BarStarrz team (Miami), street workout athlete, personal trainer and motivator for the girls all around the world. Hi! 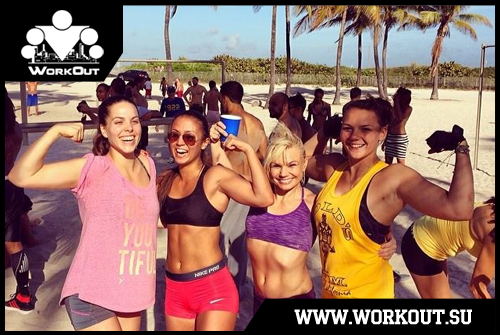 Female street workout is now developing worldwide and more and more girls are joining our sport. There are lots of tutorials and videos so every beginner can find information how to start doing calisthenics. Tell us how did you start working out on bars? 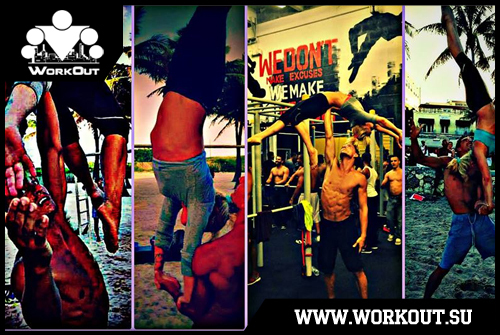 How did you get the idea that street workout is not male sport only? Hello, and thank you. I guess I first started doing street workout about five years ago. Although, I had no idea that calisthenics was even a thing. I thought I was just being creative on the barzz to avoid a boring fitness regimen. It was during my session when I was approached by Barstarzz, and asked to represent the team by spreading the calisthenics movement on prime television and C.N.N. Even though I was the only female on the team, I suppose it never even occurred to me that street workout could possibly be only for males in the first place! Tell us about your team and how do you usually train together? Do you and your teammates train in the gym and how do you combine it with bars workouts? Does it help to improve skills? My team truly is one big family. We not only train together, but we share birthdays and travel in groups as well. The unity is strong even for my brothers that don't live close, as we all continuously watch each others progression. There's a lot of love, respect, and admiration amongst our group. Actually, we all in fact prefer strictly a barzz workout: no free weights, no gym. Just your own body weight and an imagination is all that's needed in the playground/park. Personally, I prefer the results of a full body calisthenics workout as opposed to weight training. I would love to elaborate, but since everyone should pick what works best for them, I'll just leave it as personal preference. You are very flexible! To your mind is it important not only to gain strength but also to stretch yourself? Do you practice stretching during your workout or only after it or separate? In order to maintain flexibility and reduce the risk of injury I definitely stretch a good twenty minutes before hitting the barzz, and I find myself continue to do so here and there, throughout my exercise. In fact, a lot of calisthenics moves either require and/or improve on flexibility. What do you think about couples workout? Male+female, male+male or female+female? There are lots of moves based on balance that look amazing! Do you often practice it with your team? I'm all for couples workout. I have no gender preference, as long as they are both benefiting from the exercise. As far as practicing with my brothers, yes, we've created some pretty cool additions to a variety of basic exercises by involving two,or even three people. 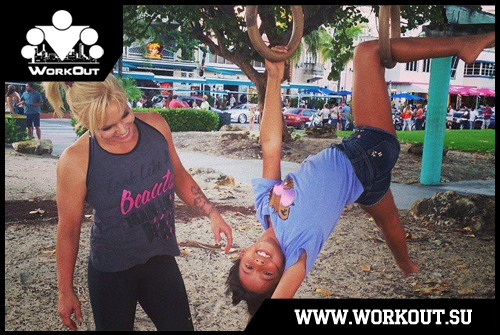 What can you say about workouts with children? As I know young boys and girls are learning fast and showing good progress. Do you or anyone in your team teach children? I love teaching kids. Besides the fact they usually have no fear, I love to see them be thrilled over exercise instead of over video games or unhealthy habits. I think we may even share the same amount of joy when they achieve a fitness goal! Do you like taking part in competitions? How do you prepare for it? What's the most important during the preparation and during the event? I have taken part in competitions. I've won, and I've lost. To me it makes no difference. Honestly, I prefer to just attend, reunite with fellow athletes and share our skills with each other. I admit, it does feel good to be acknowledged for your talent, but I don't need a trophy to tell me that. The real prize is being able to make others feel good about themselves just by teaching them a little of what we know, and then they move on to do the same. Pay it forward, in a sense. What else can you say to the girls who just make their first steps in street workout? What is most important for them physically and psychologically? My advice to the girls just starting working out, is to just have fun with it. Stay positive, surround yourself with good energy, eat smart and watch your baby steps turn into leaps over the barzz! Oh, and stay humble! Good luck to all you beautiful beasts! We are proud to say that Alexia Evans is one of the judges of BarSisters-ONLINE competition for workout-girls organized by BarSisters and www.workout.su. Join our event, show your skills and have fun!